Telling the history and story behind Prestatyn’s Scala Cinema and Arts Centre. 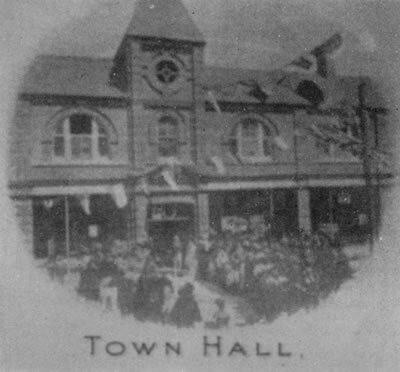 The building which houses Prestatyn’s Scala Cinema has an even earlier history prior to Saronie converting it to the Scala Cinema in 1913. Two tickets for the back row, please! The 2009 Prestatyn Scala’s box office and reception, ready to greet visitors on arrival. Born in Liverpool in 1872, the founder of the Scala’s real name was James Roberts. He later changed it to Saronie in 1912, as he felt it was more impressive in his work as a cinematographer. Learn more about the history and significance of Prestatyn’s Scala Cinema which has been in the town since 1913. A historical timeline chronology of Prestatyn’s Scala Cinema and Arts Centre. 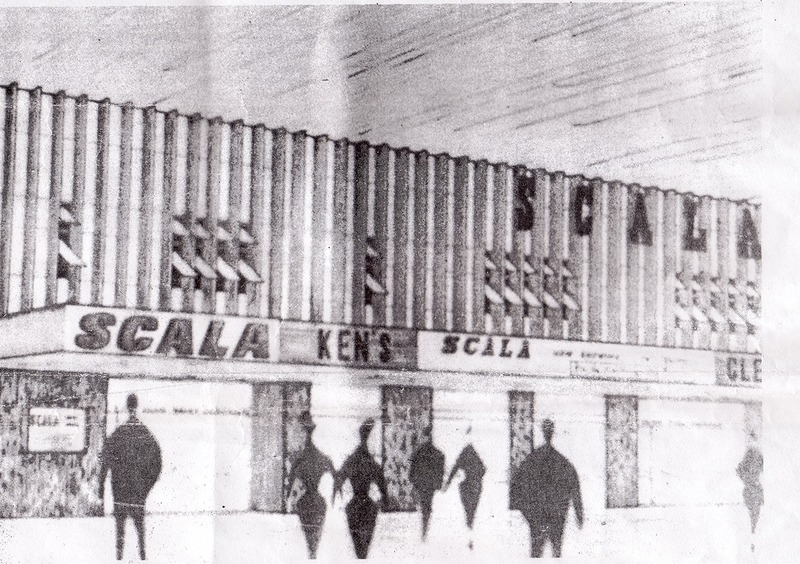 A feature originally from the Gazette proudly described the new renovations and features of the 1966 refurbishment, some of which may be familiar to past patrons of Prestatyn’s Scala. In 1996, Prestatyn’s Scala Cinema was proud to receive the BFI 100 Years of Cinema Award. 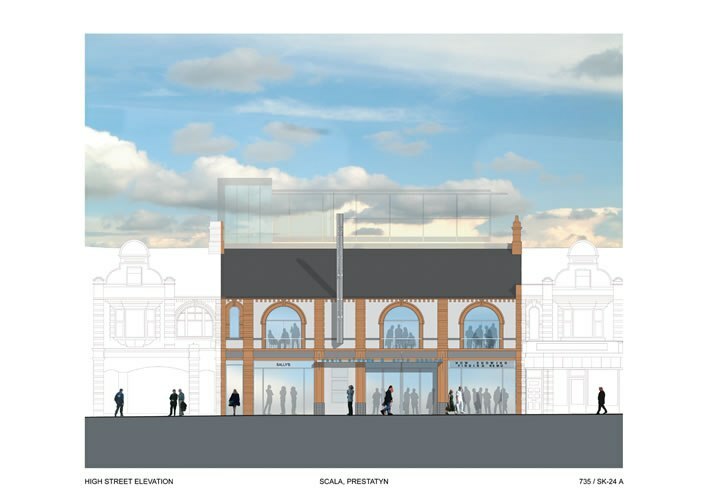 View the plans for the new Scala Cinema and Arts Centre building. Prestatyn’s original Scala Cinema building, which opened during 1913, was sadly forced to close in December 2000, due to serial neglect and the high cost of much needed repairs. The Friends of the Scala Cinema and Arts Centre formed in 2001 and continued to work tirelessly (often against a background of challenging and sometimes political circumstances) until January 2016. Eventually becoming a licensed charity, they were committed to ensuring the town, its residents and the welcome visitors to Prestatyn received a quality, manageable and sustainable modern replacement cinema and theatre facility. Construction of the new Scala commenced in February 2007 and was completed in late 2008. When the Scala finally re-opened on Friday February 13th in 2009, its state of the art facilities began to help regenerate Prestatyn, whilst also helping to increase employment, contributing towards tourism and the local economy. The new Scala Cinema provided much needed modern and comfortable facilities, for a variety of community and volunteer groups. In January 2016, following discussions with regulators, the Friends of the Scala charity could no longer support the Scala cinema since it was by now a commercial enterprise. In a press release, the Friends acknowledged this was not a sad event; firstly, the Friends had achieved what they initially aimed to do, namely the rebuilding of the cinema after its closure in 2000. Secondly, they continued to support the Scala when it was run as a charitable company. The Friends now felt that the future of the cinema was in safe hands, and looked forward to its continued success. Prestatyn’s modern Scala now provides a convenient and exciting digital cinema, the first in Wales, later enhanced with exciting technologies such as 3D and 4K, bringing the town’s residents and visitors the very latest blockbuster films, quality exhibition facilities and an exciting theatre venue. This website exists to recognise the history and stories behind the cinema, founder and pioneer Saronie, and the contributions made by the local community who continue to cherish the Prestatyn Scala.